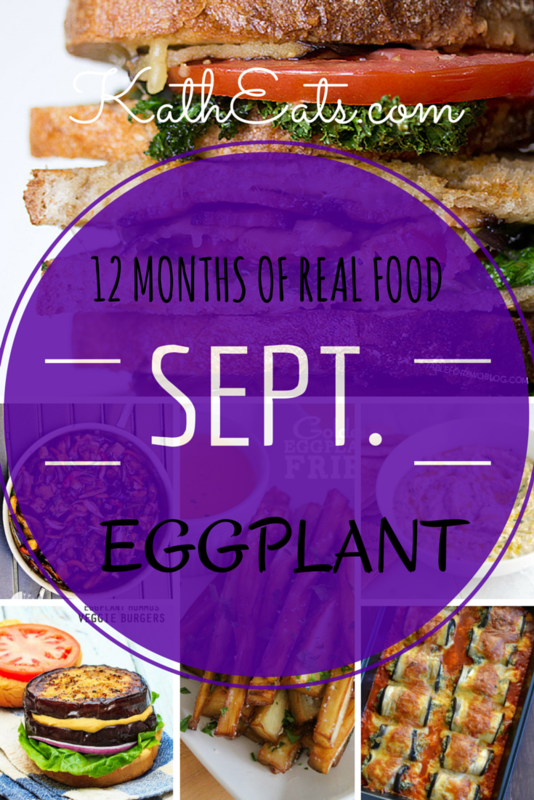 For the September edition of 12 Months of Real Food, I’m dedicating it to a vegetable that doesn’t get enough love: Eggplant! 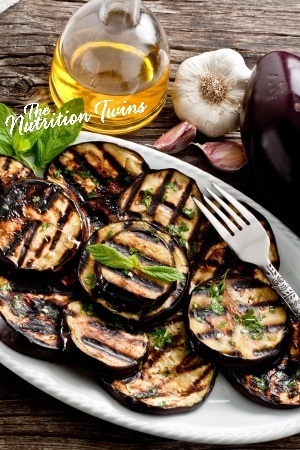 Eggplants are low in calories, but packed with nutrition. Check out some facts below! 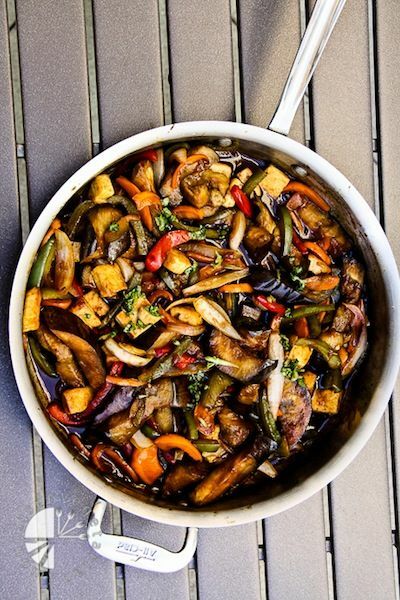 I often hear people say they don’t know how to cook with eggplant or are afraid of it. Fear no longer! 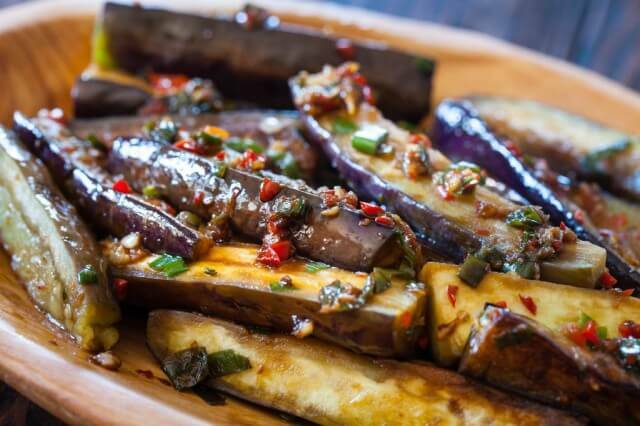 Any of the following eggplant recipes are sure to please anyone! 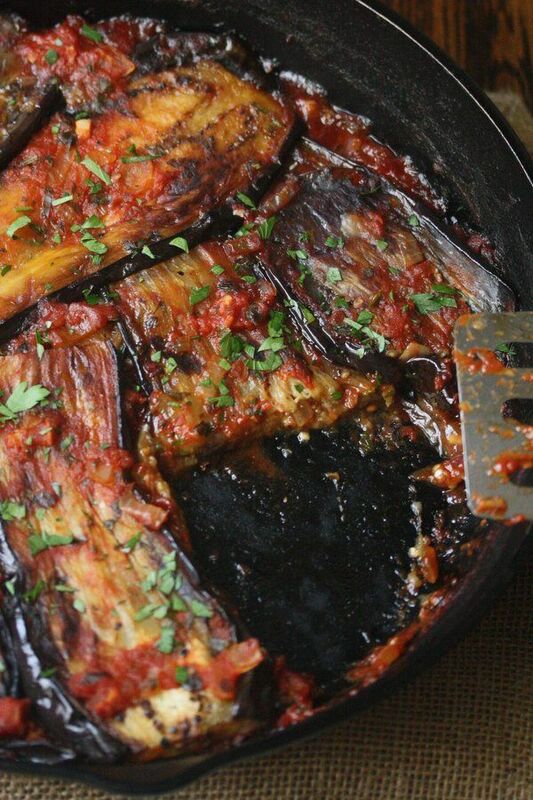 Which eggplant recipe will you try first? Oh YUM! I LOVE eggplant! I love this post! Wonderful, eye-catching info-graphic, and the recipes are perfect. 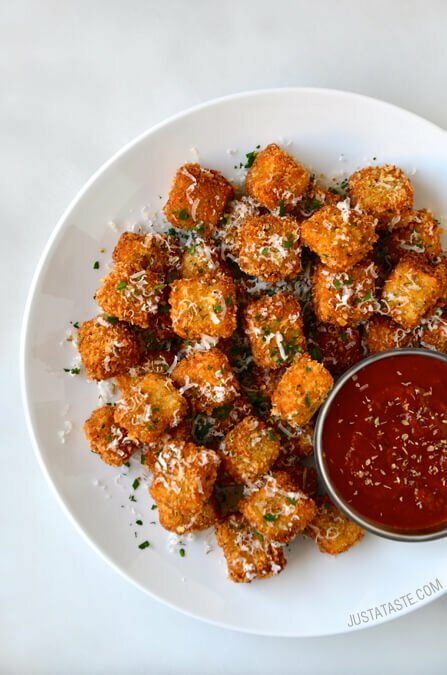 Eggplant doesn’t get near enough love, and so many people think to only peel, batter, and fry it when it is versatile and worthy of so much more. Thanks, Kath! What an awesome compilation! So many recipes, I don’t know where to start! 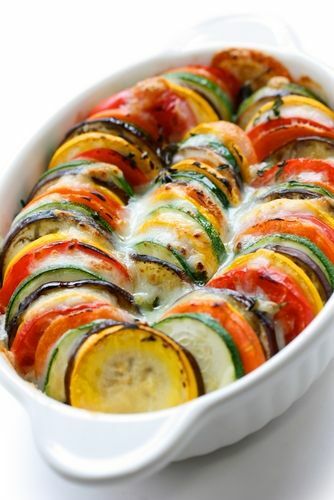 I usually just roast eggplant, so this will help me up my game a little bit! I LOVE eggplant but my husband not so much. I’ve made the eggplant “pizzas” though and he didn’t balk too much! I so needed this. I keep throwing out my eggplant from my CSA box every week because I can never figure out a way to eat it that I actually like. 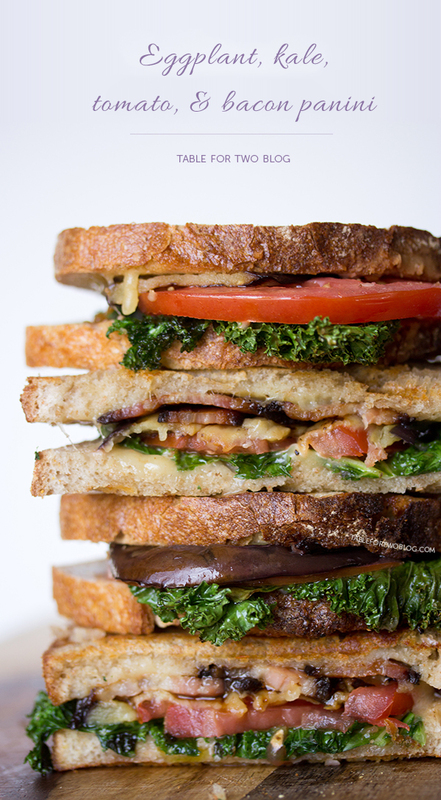 Baba Ganoush and Eggplant BLTs are definitely on the menu this weekend! I am guilty of neglecting eggplant. 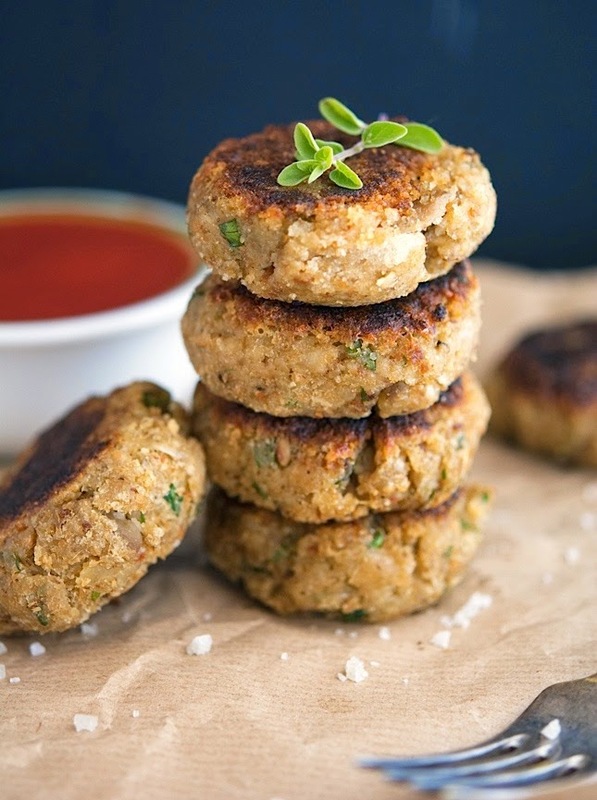 These recipes look great! 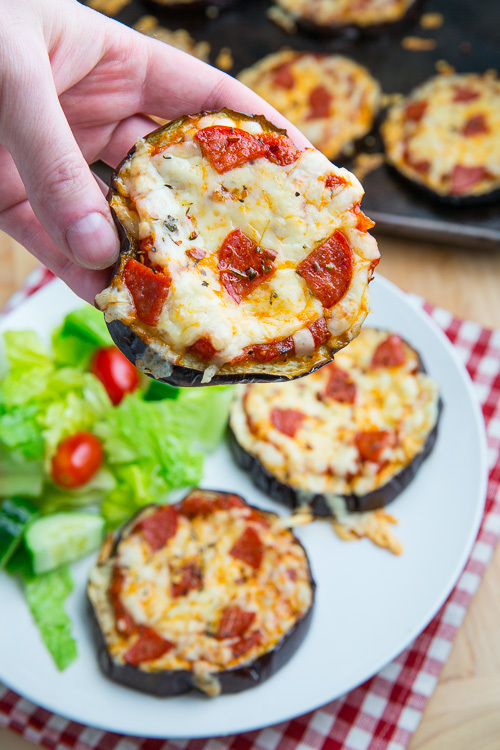 Love the eggplant pizza idea. 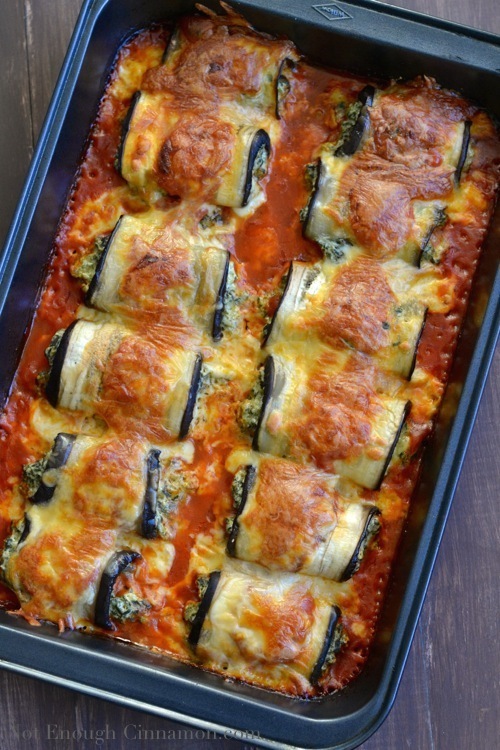 My favorite eggplant recipe is eggplant pomodoro. Hi Kath, Just wanted to alert you that there are so many pop ups on this post, it’s hard to read! The Hulu and Vitamix ads are the worst offenders. Fabulous roundup! I love eggplant. 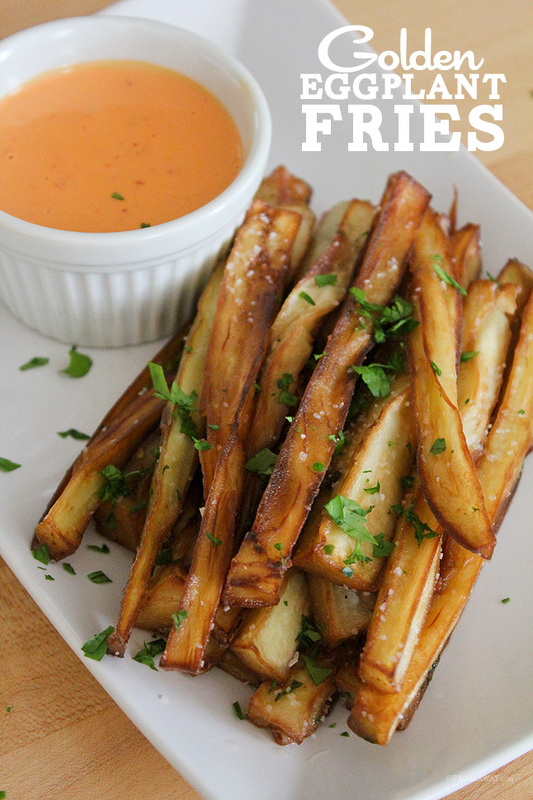 I’ve never thought to do fries! I can’t wait to try it and see if my picky toddler will approve. If not, it only means more for me. I love eggplant! It’s funny – a year ago I absolutely loathed it and now i can’t seem to get enough of it! 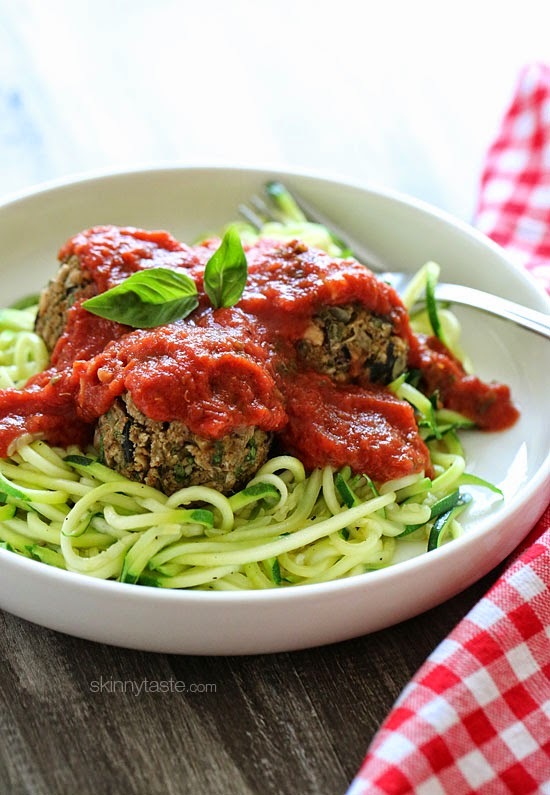 🙂 These recipes all look so good! 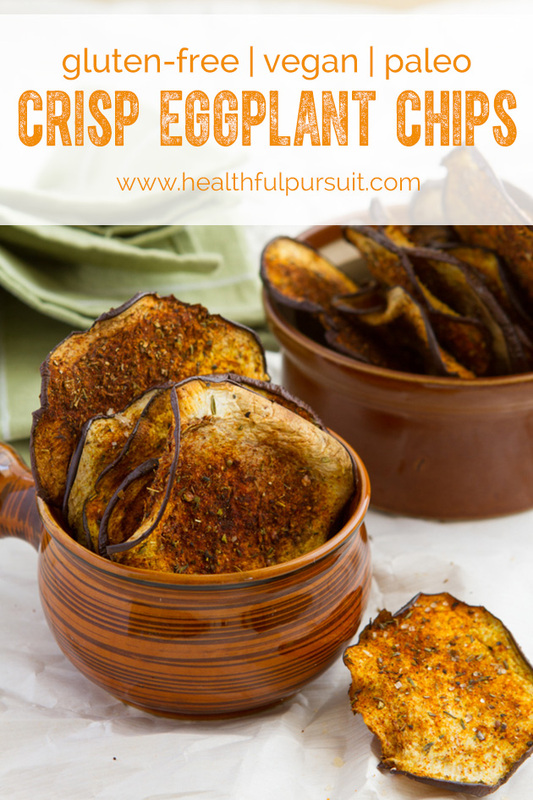 Eggplant chips are amazing and just made fries yesterday and loved them! 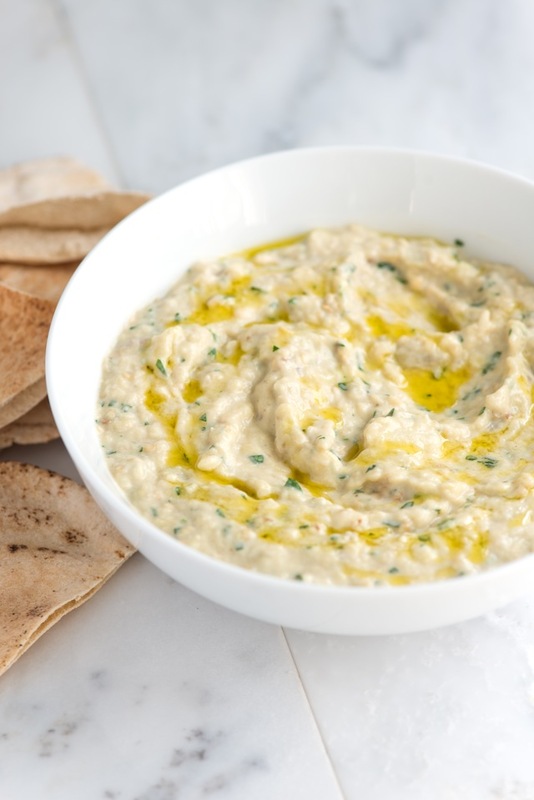 My favourite is baba ganoush! Wow, you make eggplant look REALLY good. I didn’t even know you could use it in a cake? Wow. Yum. Eggplant makes a great bread substitution for sure. Fab recipes. I directed Cliff to come home from the farmer’s market with eggplant. He did. Now I have to decide which one too make first! YUM! I just made something similar to the first recipe last week! 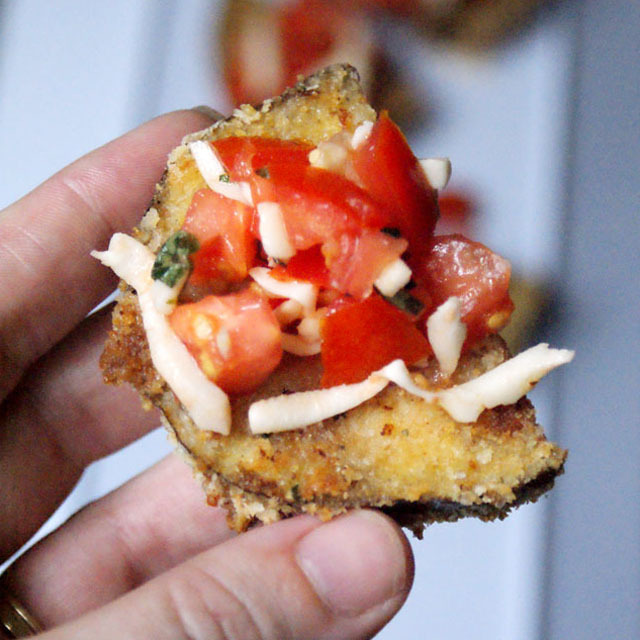 I used the eggplant rounds as little mini pizza crusts. 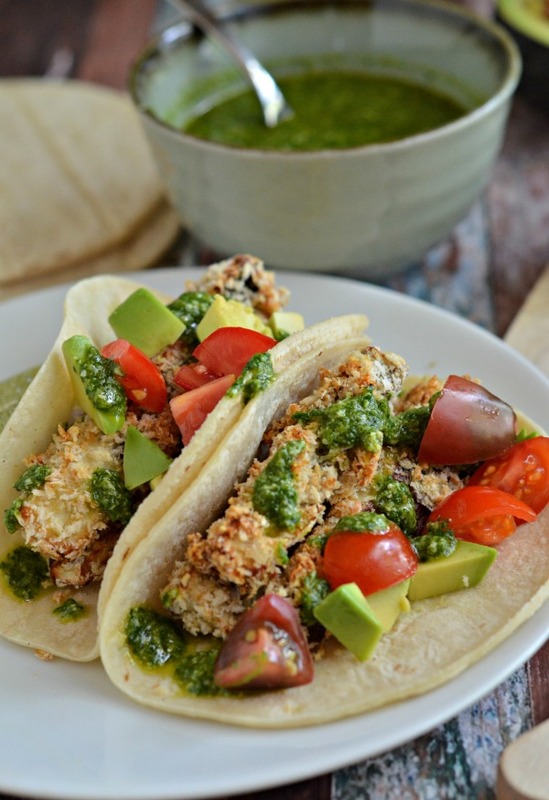 I think it was a perfect weeknight meal! 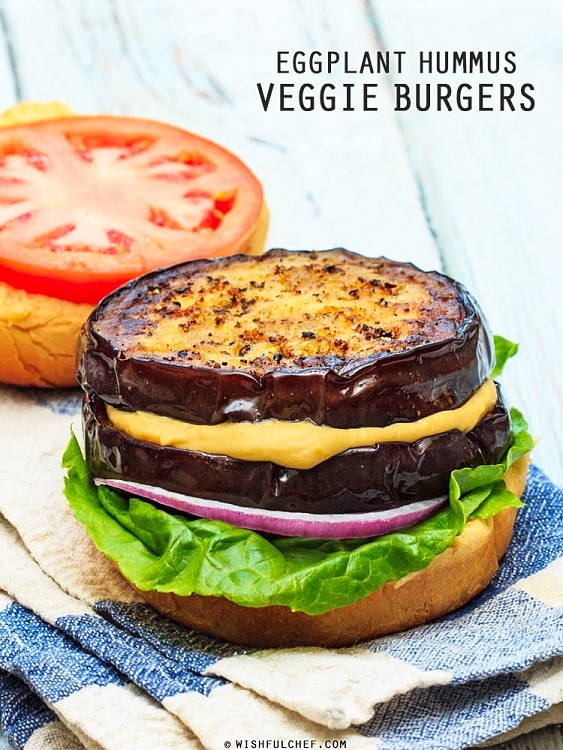 I grilled the eggplant on Sunday night so it would be ready to top with sauce & cheese on a busy night and bake for under 10 minutes, it doesn’t get too much easier than that!!! I love eggplant! Its probably my favorite summer vegetable, which is a good thing since my garden is overflowing. I really like to keep it simple by roasting or grilling it with tomatos. I look forward to trying some of the recipes to change things up a little.